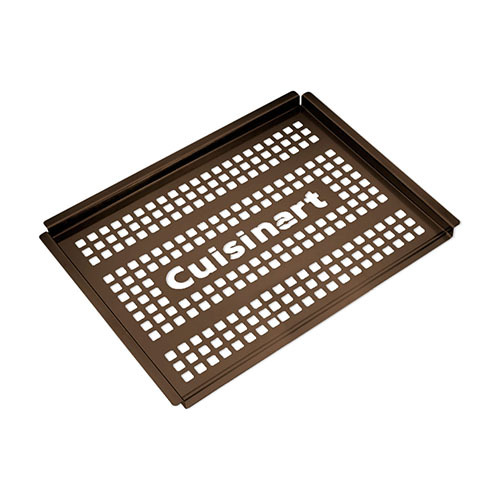 The Cuisinart CNP-411 is a nonstick 12" x 16" grilling platter which helps any barbecue enthusiast to cook any delicate or fine foods on the grill that would usually fall through the grate. This platter is perfect to cook fish, seafood, and vegetables and is also easy for cleaning. The perforated grilling surface resists warping at the high grilling temperatures needed for delicious dishes. The Cuisinart Non-stick 12" x 16" Grilling Platter has many exciting features for users of all types. 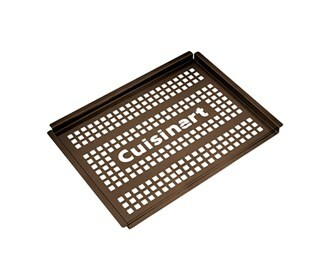 See the Cuisinart Non-stick 12" x 16" Grilling Platter gallery images above for more product views. The Cuisinart Non-stick 12" x 16" Grilling Platter is sold as a Brand New Unopened Item.